On March 26 Pope Francis fired the “bling bishop’ Franz Peter Tebartz-van Elst from his Limburg diocese in Germany. His $43 million dollar residence was the last straw for the new pontiff. Francis has signaled that the era of “princes of the church” is over. Time to get back to Jesus. Jesus of Nazareth who shocked and disturbed the conventions of his day in the name of justice and liberation. Our respectability has taken a terrible toll on the authentic calling of Christian life. Breslin’s righteous anger was premature. Both popes John Paul ll kept looking for dogmatists to run their dioceses like kommandants, guard dogs who wee sniffing out any whiff of a different opinion than that which reigned in Rome. They were not worried about “bling” or bishops’ palaces, though JP ll did go berserk when he visited Haiti and found the papal legate living like a king high above slums. The Bling bishop was one of hundreds who were chosen as enforcers which ruled in the 30 year old “ice age” of Catholicism under JPll and Ratzinger. Gone were the invitational precepts of the great Council —persuasion rather than threats, invitations rather commands, conscience rather than coercion, serving rather than ruling, horizontal rather than vertical. In was the auto da fe, the burning at the stake, a new inquisition which sent a chill over the church and stopped creative theology in its tracks within Catholic institutions. Now with a new pope a new message: Vatican ll is irreversible. One of the saddest gaffes in Pope John Paul ll’s papacy was his abysmal treatment of the saint of Americas. Seeing Romero’s priesthood through the eyes of the wealthy he challenged and who used that old hoary chestnut “Marxist” in describing Romero, JP ll bought the spurious charge and actually humiliated Romero when he came to Rome. Ah, well we all make mistakes.The polish pope was no exception. Labelling the lover of the poor a marxist was atonal music to his Polish background. is not truly the Church of Jesus Christ. There was no doubt that Oscar Romero was a good man, a caring priest, and an upstanding bishop. He decried evil and did charity. But though Romero was a pastor indeed, he was definitely not a prophet. To Romero, the church was to transcend the world, to define its values, but never, ever to concern itself with its affairs. When he became archbishop of San Salvador in 1977, he was the comfort of a conservative episcopacy and the darling of a rich people’s government perhaps, but he was anything but the hope of the poor. Yet three years later, he was assassinated on their behalf. What happened? What does such a turn of events say to the rest of us? No one knows exactly what changed Romero. No one knows if it was immediate or long in coming. Was it the accumulation of violence over the years that had finally reached a saturation point in him? Was it the sight at last of the body of a friend lying on the garbage heap of bodies that had become such a common sight in El Salvador that moved him? Was it the blinding grace of a genuinely new vision that made him see again what he had seen before but see it differently? Or perhaps it was the very values that had always driven him come together in one decisive moment that impelled him to change: the power of all those years of prayer, the futility of all those years of temporizing in the name of spirituality, the impact of all those years of poverty, the emptiness of all those words about the nature of the church and the meaning of the Gospel—lived until this moment in him almost exclusively as intellectual concepts? Whatever it was, he knew it now and there was no stopping him. Oscar Romero became a light to the nations, a man on fire, a prophet’s prophet. In the end he paid the consequence for saying the truth in the light. The church of privilege, his brother bishops, ignored him as many do to this day, in fact, and reported him to Rome for three straight apostolic visitations. This was the blow that hurt him most, he once told friends in tears. The rich waged million-dollar ad campaigns against him in hope of precipitating his mental breakdown. The government taunted him and threatened him and hounded him and ringed him round with violence till on March 24, 1980, they killed him, too. But the people took heart and found hope in a church for whom the Beatitudes were real. Oscar Romero is a frightening figure if for no other reason than that he shows us to ourselves. The problem is that there is an Oscar Romero lurking in all of us docile, trusting, and obedient people. He teaches us that we too may someday have to change, not because we do not believe in the teaching of the church and the state, but precisely because we do, and they are not living up to it. Indeed, Romero was a loyalist who became a voice of truth to the system he dearly wanted to serve. He was a pastor who discovered that binding wounds is no substitute for eliminating them. He was a Christian who discovered that the Gospel supersedes the church. In a piece for Salon.com Roger Waters wrote a moving commentary why he has strongly supported the BDS Movement in Israel/Palestine. After more than two decades of negotiations, the vulnerable Palestinian population still lives under occupation, while more land is taken, more illegal settlements built, and more Palestinians are imprisoned, injured or killed struggling for the right to live in dignity and peace, to raise their families, to till their land, to aspire to each and every human goal, just like the rest of us. 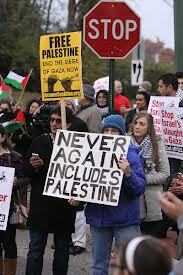 The Palestinians’ prolonged statelessness has made them among the most vulnerable of all peoples, particularly in their diaspora where, as now in Syria, they are subject, as stateless, powerless refugees, to targeted violence, from all sides in that bloody conflict, subject to unimaginable hardship and deprivation and, in many cases, particularly for the vulnerable young, to starvation. Pretty straight forward, I think. One does not know where to start in analyzing this embarrassing event.Does this man believe in Satan? Apparently. And the language, “Christ won by his blood”, a reference to an outmoded theory of atoement. Jesus had to shed his perfect blood to win back God’s favour. Nice idea of God. One wonders how this man became a bishop.Another of the gems created by the last two popes.Men whose strong orthodoxy was going to save the Catholic church. Well enough on the bishop. Holding an exorcism in response to the enactment of marriage equality is no way to show Christ’s love to the world. Please cancel this political stunt and reconsider your public ministry for the Pope Francis era. it is through Catholics like this, the sensus fidelium that Catholicism will move forward. It is hard to fathom the disastrous and arrogant American educational policy being rammed down the throats of those who know best: teachers but that is what Obama and his education czar Arne Duncan have attempted to. About a year ago some brave teachers said “Enough” and the brush fire has quickly spread across the US. More and more educational jurisdictions are saying no to the Common Core curriculum which seems addicted to massive testing and neoliberal austerity—break the unions, hire greenhorns with no preparation, refuse to see the link between poverty and education and oh yes, privatize, privatize, treat education as a business and bring in Simon Legree with no pedagogical training as the principal. Of course the larger agenda is the attack on public servants (hence the union busting) and the opening of the public good, education to corporations who are slobbering over the chance to take over another market. A fortune is to be made in testing materials, consultancies and for profit charter schools. Leading the charge, sad to say is Bill Gates and no surprise her, the Walton family of Walmart.Other 1%ers have chimed in with the power of wealth and the ownership of media and the sponsorship of right wing think tanks. Their ridiculous panacea, “teaching to the test” has gutted imaginative areas like art, music, drama. It has sapped the creativity of teachers.The failure of charter schools and the shining example of Finnish education (# 1 globally and no standardized testing) has not stopped this egregious assault. March is the month when teaching ends and test prep begins. Federal education policy is a disaster. 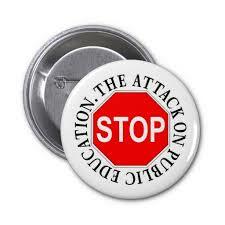 The Bush-Obama agenda has de skilled teachers and made testing the most important aspect of US education. “I wish you could hear my colleagues telling me “they don’t mind this” as it gets kids “ready” or solves them having to plan actual learning. They’ve been so de-skilled they don’t even feel the connection to instructional leadership. To them the school is a rote drill factory. “The teaching profession has been redefined. A teacher is now the manager of a workbook drill. No projects, no model making, no literature, no research, no discovery. The planning you do is taking prefab programs and administering them. Sort of as if you were giving a test like the state test ALL the TIME. Room empty, pencils out, bubble. All things arranged around test prep. No themes, no critical thinking. Ukraine is not controlled by oligarchs, even though there are some. They make their money, much historically through the likes of Yanukovich, but the economy is dominated by the middle class which is substantial here, unlike in Russia. The oligarchs do not control the economy by a long shot. Second, the oligarchs want integration with the EU. They, at one moment, forced Yanukovich’s hand by demanding that “their men” in his party vote against him during the current revolution. The oligarchs want EU integration to modernize factories, to enter larger markets, and to stabilize Ukraine. Any of seven countries in the EU has a bigger economy than Russia and together the EU has an economy 12 times larger. Russia has no modern technology and nothing to offer other than gas and billionaires. The oligarchs, above all, do not want closer relations with Russia. And they are for the most part from the so-called Russian-speaking region of Ukraine, To speak Russian or to be from a Russian-speaking area says nothing about your political leanings. Ethnically, the population of Kyiv is 80% Ukrainian, but due to the educational policy of the USSR which lasted 70 years there, 70% speaks Russian as a first language. Over 80% of Kyiv has always voted against Yanukovich’s party. In the latest poll, 27% of the whole country would prefer closer ties with Russia, but it is clear on closer analysis that they want closer “political” relations with Russia, not economic union. And that percentage diminishes every year. Finally, although it was known that Yanukovich and his closest circle were stealing massively from the budget, documentary evidence now makes it clear that they stole about $10 billion each year directly from the budget. And there is other money that comes in from corrupt schemes. There was no reason for Yanukovich and his friends to flee, if they had not broken the law. There was no threat of death or violence, he was still president and had agreed to early elections. The prime minister was bringing him four bills to sign into law when they saw that he had fled with the family jewels. His security cameras show him and his guards loading vans and two helicopters with the valuables from this palace which he built for himself with government money and fleeing in the night. What he left behind in terms of documents for where money came from and to whom it went was a detailed incrimination. On this legal basis, he and about 18 others are having their accounts frozen in Europe, Canada, and the U.S.
What follows is something I wrote lately for some people. It will give you a bit of an update. As every hour during the whole revolution there was prayer on the Maidan, so I think prayer remains key to this whole affair in all its aspects. It is the “exorcizing” of corrupt government and the vestiges of Soviet mentality. This is the first stage and I would say it has worked in Ukraine, at least for the moment. It remains to be seen how well the new government will respond to popular demands. The Maidan will remain until the presidential elections in May to ensure the establishment of fair elections and quality government. They do not want control but stewardship. It is argued on the basis of the constitutions which say that the people are the supreme authority. Putin’s invasion, while clearly illegal and against his own oft-repeated, public statements to the contrary, is ultimately not an act of aggression, but an act of fear. His economy is weakening and his hoped-for “Eurasian Union” cannot succeed without Ukraine. Kazakhstan, Kyrgyzstan, and Belorussia don’t offer much. Russia has only oil and billionaires, but no diversified economy or middle class. 60% of its foreign trade is from oil and gas. 10% of its state budget comes directly from Gasprom. By contrast, Ukraine is the 7th largest producer of steel in the world, 6th largest exporter of wheat, and 3rd largest exporter of corn. It has a heavy-metals manufacturing sector: cars, tractors, weapons, and planes. It has a large middle class and a hard-working labour force, which Russia also does not have. And then there is the Black Sea coast which gives access to everything else. Russia’s armed forces are not big enough to invade Ukraine, which is bigger than France and has 45 million people. In Crimea, he has some support. It is home to the Russian navy’s largest base with 25,000 troops and 380 ships. Without that, he could not have hoped to land troops. It now seems, incredibly, that Yanukovich, whom he does not respect, convinced him to attack and that people would rise up in support of his invasion. He seems blinded by ambition. He could not possibly enter mainland Ukraine, unless he is also blinded by desperation, which is possible. Nothing would unite Ukraine more, and that is one thing he quickly discovered. A fair percentage of Crimeans support him, but others were immediately demonstrating in the streets against him and ready to take up arms against his troops. It is not clear that he could hold even Crimea. Crimea was never “Ukrainian”. Catherine the Great defeated the Muslim Turks and populated it with Russians. Krushchev united Crimea to Ukraine in 1954 to some local protest, but in the USSR everything came out of Moscow anyway. There was some local reaction in 1991 when Ukraine declared independence, but Crimea did not resist union in the end when given a special status. The Crimean Tatars are a significant group and they want nothing to do with Russia. There also many people of Russian descent who want Ukraine, as well as many Ukrainians who live there. Putin can make mischief, but little more. The ruble is the weakest currency among industrialized nations. When the Russian Parliament voted to give Putin permission to invade, the currency fell by almost 10%. When he actually did send troops, the Moscow stock exchange fell by over 10%. The expert calculation is that, in one day, Russia lost 55 billion dollars. (Sochi cost 50 billion.) This is exactly what he did not want and cannot afford. Seven of the G8 leaders have refused to attend the meeting he is to host in Sochi in June, unless he turns everything around. Obama has said he would seek Russia’s exclusion from the G8 completely. That would be unbearable for Russia. Furthermore, demonstrations in former Soviet countries give Russians courage to demonstrate against the huge injustices in Russia. Putin is paranoid about such demonstrations. He fears the overthrow of the system and he should. There were small sympathetic demonstrations there during the revolution in Ukraine but even more when he invaded. Putin immediately had 300 Moscow demonstrators arrested and many sentenced to two months. Among them were opposition party leaders. The broadest and most hopeful way of reading all these events is in two things. First, as I noted, the end of systemic corruption in Ukrainian government with the establishment of government for the people. This would end the vestiges of Soviet-style government, i.e., government for those in power, and against the people. Second, it would be the definitive death of the Soviet Union. Putin said in his second term as president that the greatest catastrophe of the 20th century was the collapse of the USSR. It would be hard to find anyone even in Russia who would agree. At the same time he said that “we” have learned something from the Americans: you conquer the world not by military might but by economics. To this he has dedicated almost 10 years of his life, trying to force the neighbouring countries into his Eurasian Union. The recent events make clear to him finally, that Ukraine will not be in his sphere, and that, therefore, his hopes for the Union (both Soviet and Eurasian) are dead. It remains to be seen how he will take the news, but he has already begun working with the current Ukrainian government. 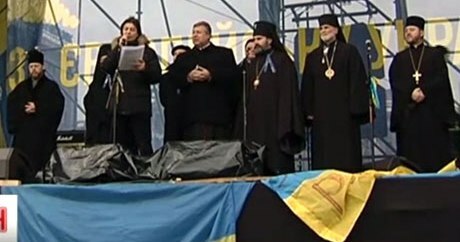 Half of Ukraine is praying and fasting about all this during Lent, as they did during the revolution. The author is a priest in the Ukraine. Christians expect their faith communities to espouse and even promote justice, peace and the integrity of creation. It is natural to want to belong to organizations that are doing the right thing — we are drawn to those groups that nurture as well as challenge us to live better lives. writes Joe Gunn, in the Prairie Messenger. How do we evaluate how our faith communities are doing in this regard? A new book ventures important insights as to how faith communities are responding to the climate crisis. An Edmonton-based academic, Randolph Haluza-DeLay, is among the editors of How the World’s Religions Are Responding to Climate Change (Routledge, 2014). The activities of several religions in various parts of the planet are analyzed. In an earlier work Haluza-DeLay focused on the barriers to an engaged faith: focus on the after life, focus on other issues, an obsession with individualist solutions (no social critique) and finally the comfortable nature of bourgeois religion and the fear of change. How utterly sad to see the episcopal leaders Canada’s largest denomination Roman Catholicism sitting on their hands, lagging behind on the greatest moral issue confronting our wounded globe. Still, critics have rightly censured Christianity for long abetting the ecological crisis. Indeed, with some exceptions, Christian churches often choose not to face this calamity with the energy they spend on other matters. It’s as though the planet were undergoing its agony in the garden, and we, the disciples of Jesus, are curled up fast asleep. Waking up to our own role in this crisis will require a dramatic course correction, a reorienting of our ethical compass away from ourselves alone and toward all creation. In a word, ecological conversion requires profound humility. The bishops of our major Canadian cities seem to ne among those napping on the job. There needs as Johnson says “a reorienting of in this case our ecclesiological compass”. Meanwhile the People of God are moving forward with or without episcopal blessing. Here in Canada, prophetic religious leaders like the National Bishop of the Evangelical Lutheran Church in Canada, Rev. Susan Johnson, and some members of the Canadian Council of Churches, have also committed themselves to this fast. Some of us who are fasting are donating the money we would have spent on food during the fast to disaster relief efforts, or to environmental organizations and groups like CPJ which are working for ecological justice. A petty good Lenten idea. Fr.Gustavo Guttierez is back. The 85 year old theological giant, commonly styled as the father of liberation theology has been officially “rehabilitated” as they used to say in the Kremlin. Instead of being hailed as the faith-filled lover of the poor, the Peruvian theologian was hounded by John Paul ll and Joseph Ratzinger who failed to understand a theology which grew out of the massive poverty of the southern cone. Last Tuesday the diminutive Dominican was feted by Cardinal Gerhard Mueller; one of Francis’ top advisers, and the head of the Holy Office. The occasion was the launch of the cardinal’s book Poor for the Poor: The Mission of the Church. The book, which has a preface from Pope Francis, also has two chapters written by Guttierez in which he defends liberation theology. In he mid 80s Ratzinger was riding high as the bad cop for the Polish pope, neither of whom “got’ liberation theology. Their stereotype of this biblically drenched work was caricatured as Marxist and one which fomented “class war”, that old cold war bugaboo.”Class war” here meant the Latin American bishops wanted Vatican ll lived out—the people of God must be consulted, and listened to. Ratzinger was never comfortable with this,preferring to tell the poor what was good for them. The bishops insistedon listening to the base. 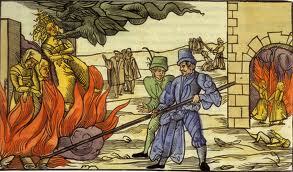 Ratzinger’s language was embarrassing, Guttierez’s work was “heretical,” “a threat to the faith”. The progressive Latin American bishops, giants of that period, Landazuri, the Lorscheiders, Cardinal Arns, Helder Camara totally supported the brilliant Peruvian. When Ratzinger met with the Peruvian hierarchy with what was described as “a coarse and violent” diatribe against liberation theology, he was rebuffed by the bishops. The reason? This theology was the heart of their pastoral work. What Ratzinger was up against was an Andean pastor who was deeply loved and respected Cardinal Landazuri. Had Pope John Paul ll backed his enforcer over a much loved pastort there would have been a theological riot. Ratzinger was considered out of his dept , a stranger to the conditions under which these men laboured. Liberation theology in the end was not condemned. As Cardinal Landazuri stated, “It is totally orthodox.” Rome had to get over its obsession with a one size fits all theology.that there were not a plurality of ways for doing theology. Ratzinger to many was a European snob who thought, given his position that he could run roughshod over Latin Americans. Many were as smart and theologically sophisticated as he was. They had studied in Europe but lived with massive poverty in Latin America. A middle class German, a lifelong ivory tower theologian had met his match. The real conflict was Vatican ll. Ratzinger’s theology was top down, hierarchical and abstract. It never hit the ground, never was filtered through the human. Guttierez phrased the problem eloquently. In Latin America the issue was not the existence of God but the existence of the human. 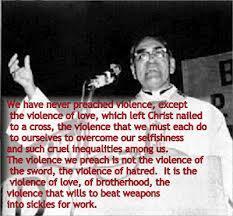 By 1980 over 800 religious were murdered defending the human, among them the saint of the Americas,Bishop Oscar Romero also labeled in Rome as a “Marxist” and a “subversive.” It was the new age of the martyrs and the prophets against injustice. Ratzinger was unable to grasp this reality. His abstract theology separated religion from the secular and life. The real issue was power. Would the poor be given a voice through their bishops who indeed “had the smell of the sheep on them”. Well, he and JP ll did get their revenge by replacing all the great Vatican ll bishops with second rate Roman toadies who took their marching orders from Rome. In Peru Opus Dei bishops were named. In Haiti the Vatican was the first “nation” to back the coup against the liberationist ex-priest and voice of the poor Jean-Bertrand Aristide. Creative theology went underground. Careers were broken, theologians were hounded all in the name of ideology. Guttierez joined the Dominican Order for protection. Rome went on an ideological crusade banning over 100 theologians. It was an awful period but as Chicago theologian David Tracy predicted “it won’t work.” And it didn’t. And now with a Vatican ll pope back, so is Guttierez and liberation theology.